Oregon Republicans can defeat Democrat Sen. Jeff Merkley with the right candidate. Jason Conger is that candidate. This is a winnable race, but Republicans must choose the right candidate. We cannot afford to nominate another first-time millionaire candidate, prone to gaffes, who the Democrats will exploit as “out of touch”. 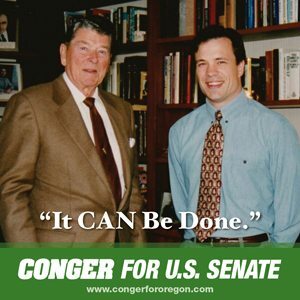 We need a battle-tested, full-service Republican who can unite Republicans, while appealing to working class Oregonians. We need a new kind of Republican whose personal background allows him to connect with swing voters and the working people of Oregon. 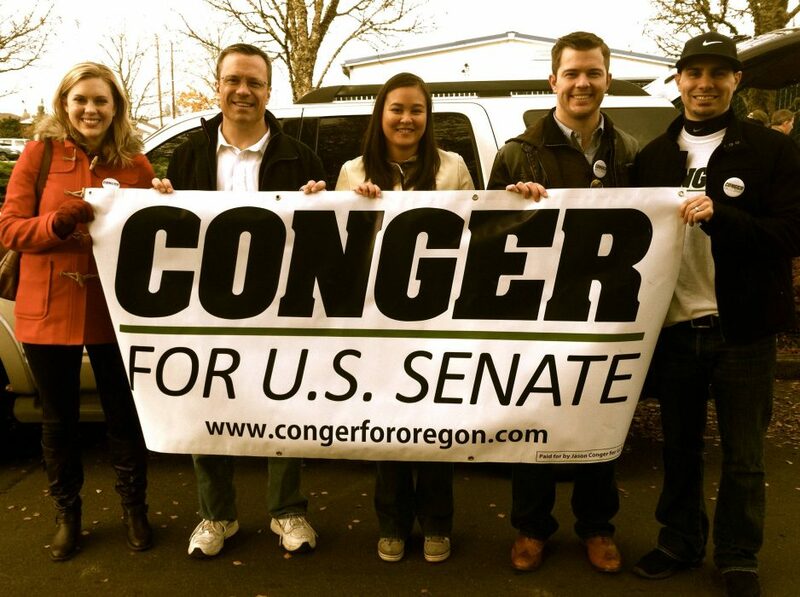 That Republican is Jason Conger, a two-term legislator who’s won twice in a district that’s a microcosm of Oregon. “Merkley’s Reelection is No Sure Thing.” Magellan Strategies BR concluded after a December poll that Merkley has some repair work to do. Half of Oregon’s voters have never heard of, or have no opinion of U.S. Senator Jeff Merkley. Just 37% have a favorable view of Merkley. Just 33% believe Merkley deserves reelection, while 35% prefer a new person and 33% say they don’t know or it depends on who else is running. Moore’s survey was done months before the implosion of Obamacare. Merkley was one of the Senate Democrats who promised that if you like your health plan, doctor and insurance, you can keep them. Oregonians now know Merkley and Obama didn’t tell them the truth about this. Magellan Strategies BR poll in December showed that 33 percent of Oregon voters think Merkley should be re-elected and 43 percent thinks it’s time for a new person. In 2008 – Merkley only won only 48.9% of the vote to Republican Sen. Gordon Smith’s 45.6%. Barack Obama won 56.7% of the Oregon vote. Merkley will be running for re-election in a year that’s historically devastating for the party in the White House, lashed to a president whose approval numbers are now lower than George W. Bush’s at the same period of his presidency. In 2010, the last non-presidential year with a competitive statewide race, Republican Chris Dudley lost by only 22,238 votes. Even then, Dudley was a political newcomer who made rookie mistakes, under-performed in 8 counties compared to recent statewide Republican candidates and failed to energize key parts of the GOP base. From homeless to Harvard and on to the Oregon House, I know what it is like to struggle to put food on the table, and I will stand up for all Oregonians, not just the privileged and well connected. As our United States Senator, I will fight for the middle class and for greater opportunities for Oregonians – just like I have in the State Legislature. Monday afternoon, February 24, 2014, the House Committee on Health Care passed two amendments to SB 1562A that will bring accountability and transparency reforms to Cover Oregon. Health Care Committee Chair Mitch Greenlick publicly recognized the good intentions of Rep. Conger’s amendments during the February 12th work session on HB 4154 and worked with Rep. Conger to secure their passage.